With its plan to create a wildlife sanctuary out of previously unused landfill, Sweden is but one of a number of industrialized nations that is accepting its responsibility to protect endangered species and promote conservation. The book's explanation's explanation is often inadequate. I can only do so much here, but here's my 2 cents. Many students have difficulty identifying which is the subject: "one" "a number of" or "industrialized nations"
We know "one" is singular. We know "a number of" is plural (NOT singular as someone mentioned). And of course the word following the phrase "a number of"--which in this case is "industrialized nations" will be plural. so what do we use? singular or plural? Well, the keyword here is "that"..By adding the word "that"..you are restricting the scope of industrialized nations you are referring to. You are not referring to ALL industrialized nations, but rather the ones THAT blah blah blah. Therefore, because of the word "that" you must use the plural form. If the word "that" was not there, then you would use the singular form "is accepting"
But since we do have the word "that" and you are restricting the scope of industrialized nations that you are referring to, you must treat "a number of industrialized nations" as the subject, and use "are accepting"
That leaves us with C, D, and E. Of the three, only "their responsibility" makes sense in the context of "are accepting their responsibility"---you can eliminate C and D. The answer is E.
Again, I can only explain so much in text. 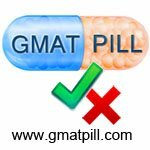 This question falls into framework #7 of the GMAT Pill Study Method. I was thinking that the answer should be A as well, but I agree with E after looking in the Man. SC guide. It states that subjects preceded by the phrase "a number of" should be plural. when the answer choices consist of a 2/3 split such as this SC problem's answer choices does, how often is the correct answer between the 2 or among the 3? Has any one seen any data regarding this? E shud be the answer. If there's a singular noun followed by a plural noun then see if the latter can perform the action being described. If yes, then go with a plural verb else singular. Example. The swarm of bees was dense. .....................since bees can not be dense the verb must agree with swarm. For me, the key to understanding the question was breaking the sentence into 2 parts. The first part is "Sweden is (but) one of a number of industrial nations". Here, the subject is "Sweden" which agrees with the singular verb "is". The second part is "a number of industrial nations that..." The word "that" introduces a relative clause which modifies "a number of industrial nations". Hence, the verb/ pronoun in the relative clause should agree with "a number of industrial nations", and be plural ("are"/ "their") Hope this helps anyone who was as confused as I was! If there is a confusion about singular or plural, look at the meaning of the complete sentence. If they are talking about just Sweden, then how is Sweden related to Industrialized nations ? Relevant part is highlighted above, option (E) is correct..
Hi guys , I want to ask about the structure " ....is but one of... "